I’ve spent the last few days researching bottom brackets for my new Ogre frame. Bearing in mind (no pun intended), that I intend to run a Rohloff Speedhub 500/14 (with an ensuing 54mm chainline), I’ve been looking at all the various potential combinations of cranks and BBs. Having been encouraged by Terry at Brixton Cycles to go with a square taper BB rather than an external one, I’ve been investigating what the best BBs are and the impact that this has on other component choices. Whilst a square-taper unit might provide better reliability/longevity, should I have an issue with it in rural South America, servicing/replacing an external BB should be much easier than a square-taper type, which would likely require multiple proprietary tools (that I would probably have to carry with me). 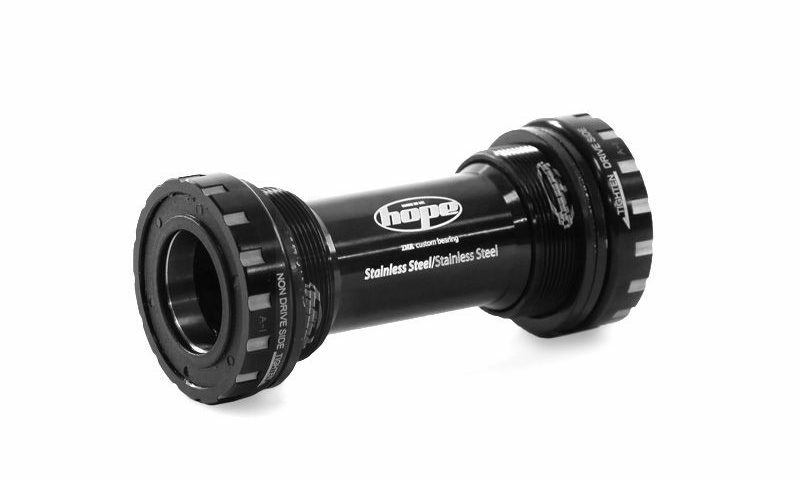 If it comes to replacing completely whilst on tour, I can replace with a cheap and widely-available Hollowtech-compatible version (external BBs being much more common these days in the MTB world). Middleburn make a lovely Rohloff-specific chainset that is my preferred option and is designed for external BBs only. An honourable mention goes to the Chris King ThreadFit 24, which is similarly highly-regarded and very good-looking but a little difficult to justify, budget-wise. That said, had I gone with a square-taper BB, it would likely have to have been a Phil Wood – they’re a work of art! Alternatively, of similar high-quality but manufactured by a classic British engineering institution, Royce. Maybe next time!